Mr. Flint called the January 16, 2018 Regular Meeting of the Planning Commission to order at 7:00 pm. Mr. MAGNUSSON made a motion to nominate Mr. McCreary as Chairperson of the Planning Commission. Mr. CLOVKSY seconded the motion. Motion carried 6-0. Mr. BASHORE made a motion to nominate Mr. Magnusson as the Vice-Chairman of the Planning Commission. Mr. WASHBURN seconded the motion. Motion carried 6-0. Mr. Magnusson took over the meeting as Vice Chairman. Mr. CLOVKSY made a motion to nominate Mr. Bashore as the Secretary of the Planning Commission. Mr. WASHBURN seconded the motion. Motion carried 6-0. Mr. CLOVKSY made a motion to approve the minutes from the December 19, 2017 meeting. Mr. WASHBURN seconded the motion. Motion carried 6-0. SLD Docket No. 2017-07: Preliminary Subdivision and Land Development Plan for Arcona Phase 2.3. Proposed mixed-use development of 13.331 acres with: 99 attached single-family dwelling units; 12,000 square feet of commercial space; and 1.75 acres of open space. Mr. Faranda-Diedrich, showed the Board the location of the new phase on the map. He stated they have revised the site plan since they submitted the plan. The plan includes 13 acres and the centerpiece will be a ½ acre of green space. The plan includes an extensive commercial space and two types of townhouses. One type will be larger, with master bedrooms on the first floor. The second type will be standard townhouse. The commercial property will include a brewhouse/restaurant and a combination of retail/office and coffee house. He spoke about the old English setting for the townhomes a two-car garage in the back. They are working with the Township with ensuring access for emergency vehicles. 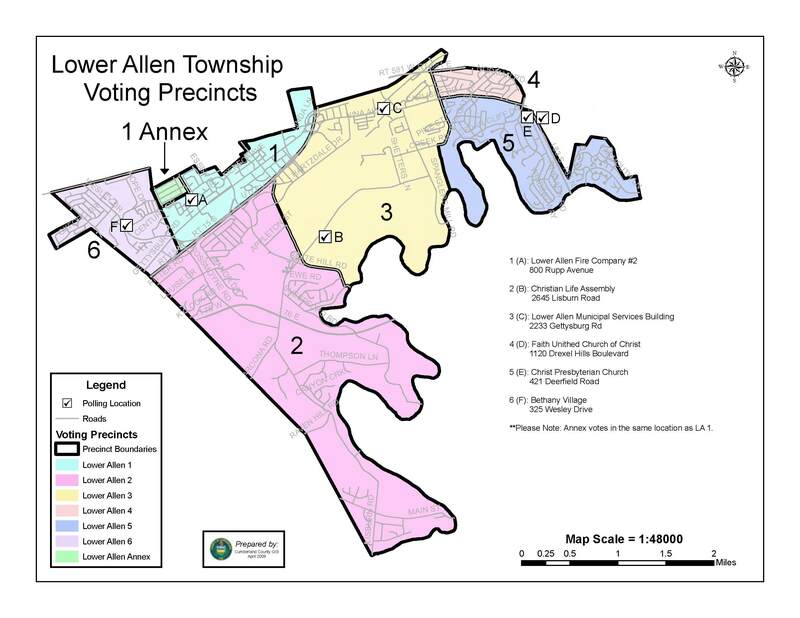 They are working on the Township’s comment letter and will be make changes. Mr. Flint spoke about the street design on other phases of Arcona and how this design is smaller. There is concern for snow removal as there is no space to put the snow. He stated they need to address how no parking restrictions will be enforced. They are looking at the possibility of fire lane designations. He stated the Zoning Officer has reviewed it and there are concerns. The plans include turning templates for trucks and he doesn’t believe they can be done with the width of the streets. He stated the changing of the width of the streets will require changes to the plan. Mr. Faranda-Diedrich acknowledged in some instances the emergency vehicles cross over the sidewalks and they will be adjusting them. They have reviewed the zoning comments and are fine with them. They will come back with a final plan to this Board. Mr. Hoffman was not at the meeting tonight. Commissioner Villone asked about the snow removal with the small alleys and concerns expressed in prior meetings about where to put the snow. Mr. Faranda-Diedrich isn’t aware of any issues with snow removal. Street dedication – The main streets would be dedicated, and the alleys would be private. Where would parking be for commercial and residential visitors? He showed the Board where the commercial parking would be located and the pockets of residential parking. How will parking be enforced on private streets? They are working with the Township to create a system whereby the Township can enforce it. It will be written in the HOA documents. Will RV/trailer parking be allowed on the street? No, they will be prohibited as would boats. Could the HOA change the parking rules? No, they will be in the deed for the land. Could a pedestrian be hurt on a street as a fire truck tries to maneuver the narrow roads? Flint stated there would be more concern with the bucket truck hitting trees and signs versus a pedestrian. Where would a van for a disabled person park to have access? They are meeting the ADA for sidewalks and ramps, but parking would be behind the commercial property or in the residential parking pockets. Has the grading on Libby Way been addressed? He showed them on the map the slope and stated they will be making changes for easier access to the garages. Discussion ensued. Mr. Magnusson stated the Township ordinances are established and are in the best interest of the public. He doesn’t believe we should allow exceptions for some and not all. Mr. BASHORE made a motion to table SLD Docket No. 2017-07: Preliminary Subdivision and Land Development Plan for Arcona Phase 2.3. Mr. WICKENHEISER seconded the motion. Motion carried 6-0. SLD Docket No. 2018-01: Minor Subdivision Plan for Tatiana’s Restaurant, 4601 Gettysburg Road. Proposed subdivision to subdivide a 1.7254-acre parcel from Lot No. 1 to be added to Lot No. 2, leaving a remainder of 0.6887 acre. No new lots are being created. Mr. Eric Diffenbaugh, Diffenbaugh Wadel, Inc, stated the plan is a lot addition of 1.7 acres which is in the flood zone. There is no construction proposed for the land. They are asking for a waiver for the sidewalks and curbing since construction isn’t being proposed. Mr. Flint stated the comments were minor in nature and he is fine with the requested waivers. Commissioner Villone asked about the soil testing mentioned in the County comments. Mr. Flint stated the comment is about soil types in the plan. Mr. Clovsky asked about building in the flood plain. Mr. Flint stated they can use it as green space and there are other benefits if it is part of an existing property. Mr. WICKENHEISER made a motion to approve the deferral request for a waiver from 192-57. B(2)(h) for pavement and curbing along street frontages. Mr. WASHBURN seconded the motion. Motion carried 6-0. Mr. WICKENHEISER made a motion to approve the deferral request for a waiver from 192-57.C (9) for sidewalks along street frontages. Mr. WASHBURN seconded the motion. Motion carried 6-0. Mr. WICKENHEISER made a motion to approve SLD Docket No. 2018-01: Minor Subdivision Plan for Tatiana’s Restaurant, 4601 Gettysburg Road subject to Township and County comments. Mr. WASHBURN seconded the motion. Motion carried 6-0. SLD Docket No. 2018-02: Minor Subdivision and Land Development Plan for Windsor Park Shopping Center. Proposed addition of 1,103 square feet of retail space, for a new total of 110,228 square feet. Proposed subdivision to combine two existing lots into one lot, with a total area of 12.639 acres. Mr. Thomas Englerth, Site Design Concepts, stated they are presenting this plan to add retail space to an existing building design. He stated the deed showed the property as 2 parcels. He stated no construction is proposed, but a plan is needed so that an occupancy permit can be issued and the space can be rented. He stated they are asking for a waiver from sidewalks and spoke about the current sidewalk situation on the adjacent properties and across the street. Mr. Flint stated the comments were housekeeping type comments. He agrees with the waiver for sidewalks. Mr. BASHORE made a motion to approve the deferral request for a waiver from 192-57.C (9) for sidewalk along street frontages. Mr. WASHBURN seconded the motion. Motion carried 6-0. Mr. WICKENHEISER made a motion to approve SLD Docket No. 2018-02: Minor Subdivision and Land Development Plan for Windsor Park Shopping Center subject to Township and County comments. Mr. WASHBURN seconded the motion. Motion carried 6-0. The next meeting is scheduled for Tuesday, February 20, 2018 at 7:00 pm. The regular meeting of the Planning Commission adjourned at 8:05 pm.